The highly competitive actioned filled 14 rounds of Five-A –Side matches were filled with speed, skilled and talented players. Supporters were not disappointed as teams battled it out in the final games. 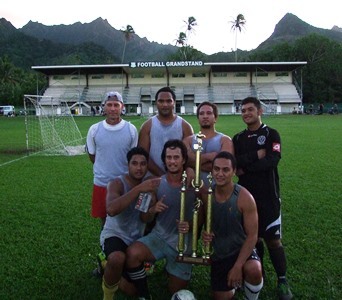 Cook Islands Football Association would like to congratulate all the teams who have participated in this year’s senior Five-A-Side competition. CIFA also appreciates all the many supporters who took the time to come and cheer their teams with team spirit and pride.